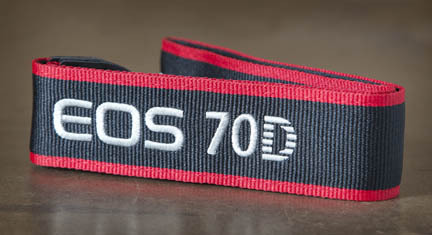 Need a camera strap for a 70D or another Canon DSLR? Don't you just hate it when you feel like carrying your camera around is a burden. Seriously, isn't using your camera supposed to be enjoyable? One of the visitors to the Canon Camera Geek web site recently bought a professional shoulder strap, a Focus F-1, for their camera and I realized that I should write about it. You're like a lot of other DLSR shooters. You've also suffered from that annoying digging into your shoulder. You also want to be able to travel with both hands free. It's worth the money to upgrade to a nicer camera strap. The standard strap is suitable for medium sized Canon cameras like the EOS 70D, the 6D, and the T3i, but there's nothing worse than having to wear an uncomfortable camera strap around your neck. 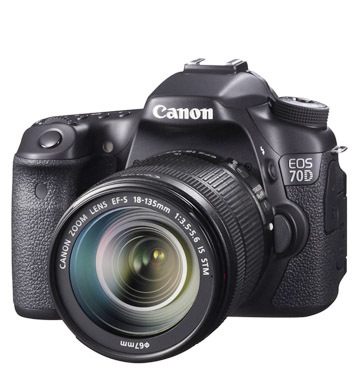 The 70D is nice looking, no doubt, but wouldn't it be great to get some comfort too? The skinny standard straps that come with DSLR cameras are adequate for short periods of time. If you're just using your camera strap to briefly free up your hands, or as protection from dropping your camera, they will do you fine. If you are carrying your camera around for a few hours, your whole shooting experience is a lot more enjoyable with a comfortable strap. WARNING: There are alternative choices out there. Use caution with them. The biggest complaint, by far, is the failure of the carabiner. 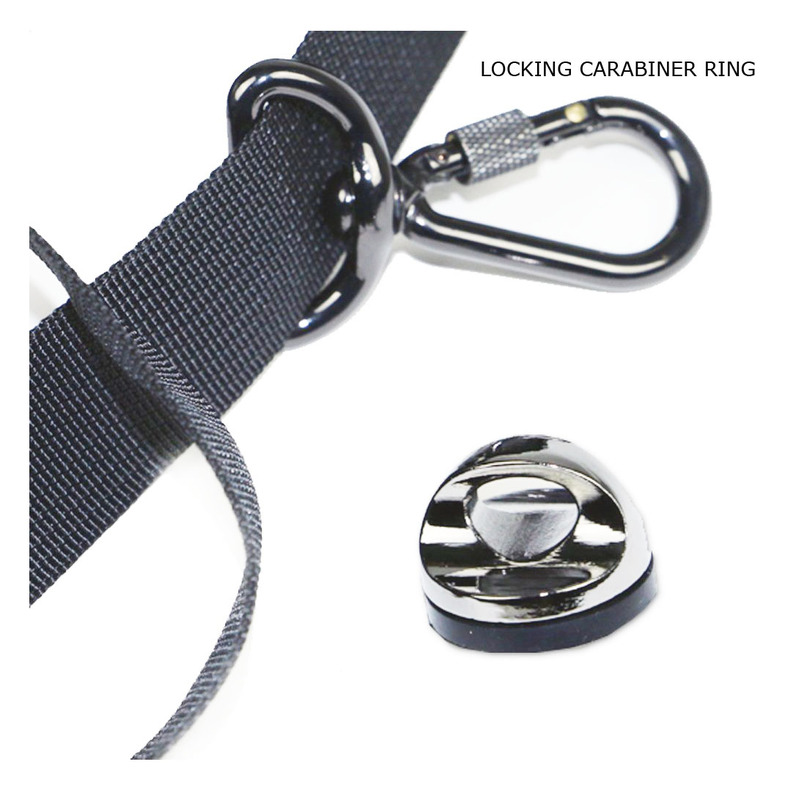 It is critical that you buy a strap with a high quality carabiner assembly. Think about it for a second. How would you feel if your precious Canon goes crashing to the ground because of a poorly designed camera strap? If you get a cheap one you put your camera and lens at risk to fall and break. No matter how good the strap feels, if it gives way and you damage you lens or camera, it's not worth buying. Read the camera strap reviews carefully. It's comfortable to wear. The padding is thick. It gets the weight off of your neck and onto your shoulder. It keep's your camera safe and secure. It cannot be adjusted for extra large people. It's not intended for full-sized DSLR cameras combined with long heavy lenses. The feature you'll like most is the ability to slide your camera upward. Traditional straps require you to move the entire strap, including the neck section in order to get the camera up to your face to shoot. The F-1 strap has a sliding feature. 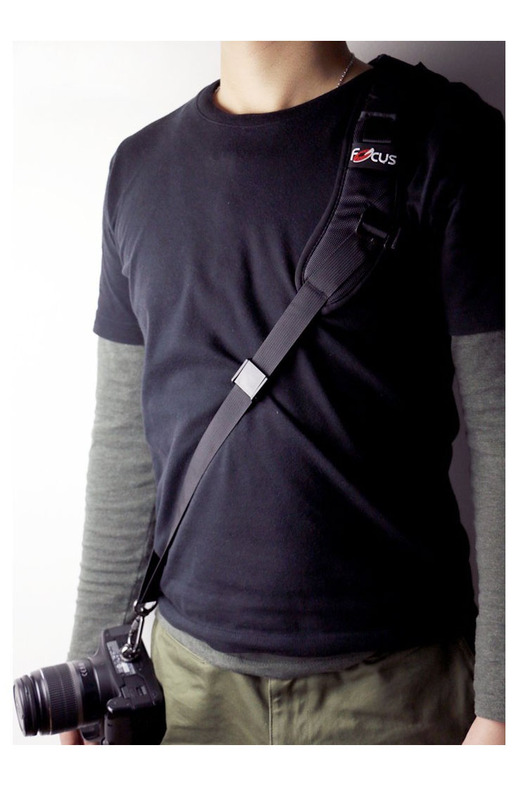 It lets you bring the camera to your face without having to move the shoulder strap at all. 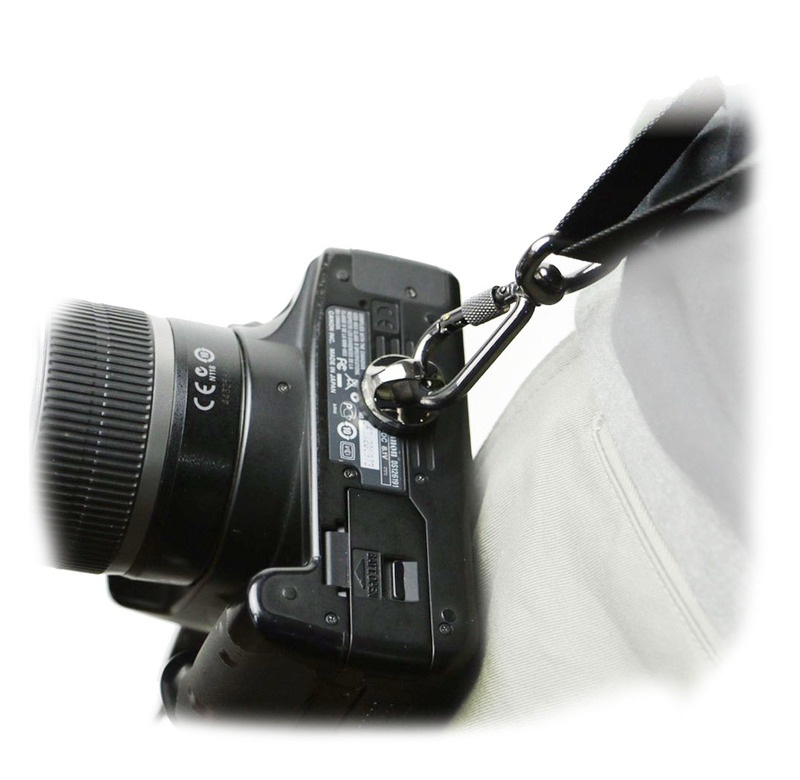 Here are a couple of detailed photos of this particular camera strap for your Canon. 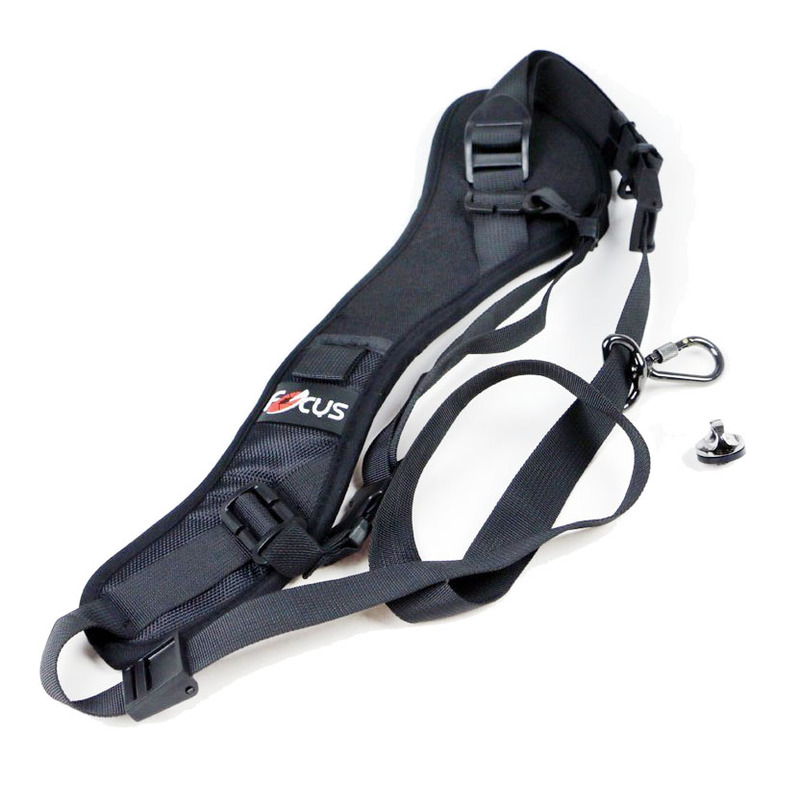 You can see by the width of this strap that it will distribute the weight over a large area of your shoulder. 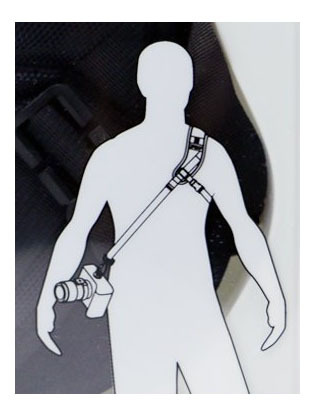 The photo below shows you how your camera is mounted to the shoulder strap. Remember to screw it down pretty snugly to make sure it won't unscrew. It's also a good idea to check it after a few minutes to give yourself a little peace of mind that it won't fail you. The locking feature on the carabiner is a good secure feature of any camera strap. An extra camera strap for a 70D is likely not an accessory that comes to mind right away for you when thinking about what extra gadgets that are interested in. It is an important one because it has an effect on your whole shooting experience. 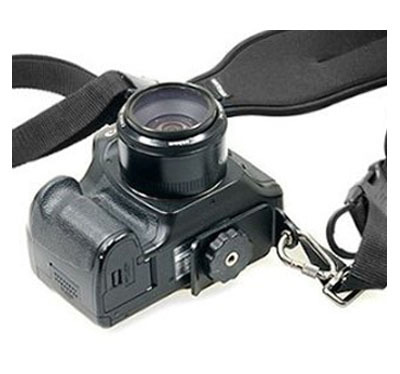 This post was written to cover both the Canon camera strap for any Canon DSLR and a shoulder strap for 70D cameras specifically, since that is one of the Canon DSLRs that I use. Click here for close-up photos of the Focus F-1 camera strap. 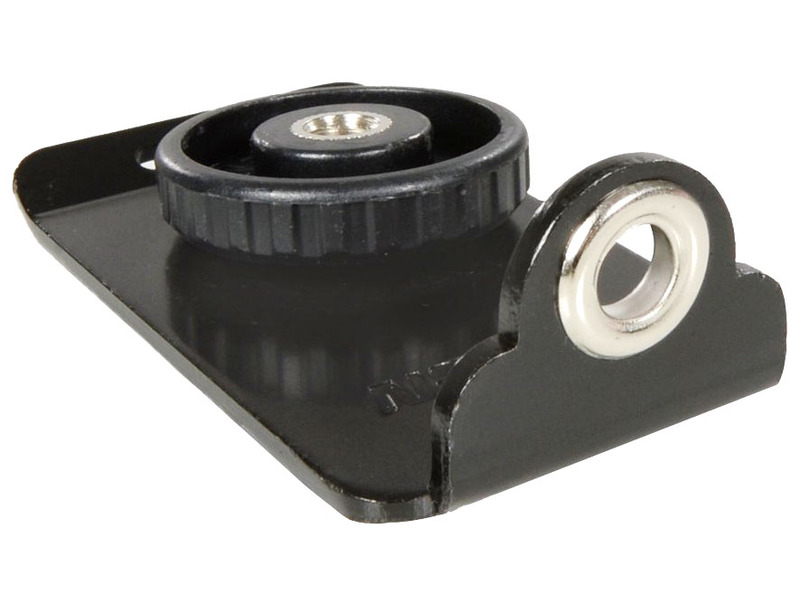 Alternatively, you could get a mounting plate and use your own strap, but you'd lose the sliding feature.